Boulder’s gorgeous landscapes, amazing food, stunning hiking destinations and and nail-biting adventure sports have made for some jaw-dropping photos. Follow these 10 must-follow Boulder Instagrammers, guaranteed to keep your Insta feed filled with beautiful photographs, sure to inspire you to get out there and enjoy everything that Boulder has to offer. See Boulder through the lens of Glenn Asakawa, Pulitzer Prize winner and CU Boulder’s Associate Director of Photography. Glenn will wow you with his photojournalistic style as well as amazing ability to capture Boulder’s most magical moments. Follow Glenn on Instagram @glennasakawa. Alli Fronzaglia, is the founder of Boulder Hiker Chicks, a local, open hiking group for women in Boulder. Follow Alli for hiking inspiration, mountain adventures and gorgeous Boulder landscapes. Follow Alli Fronzaglia on Instagram @theboulderhikerchick. 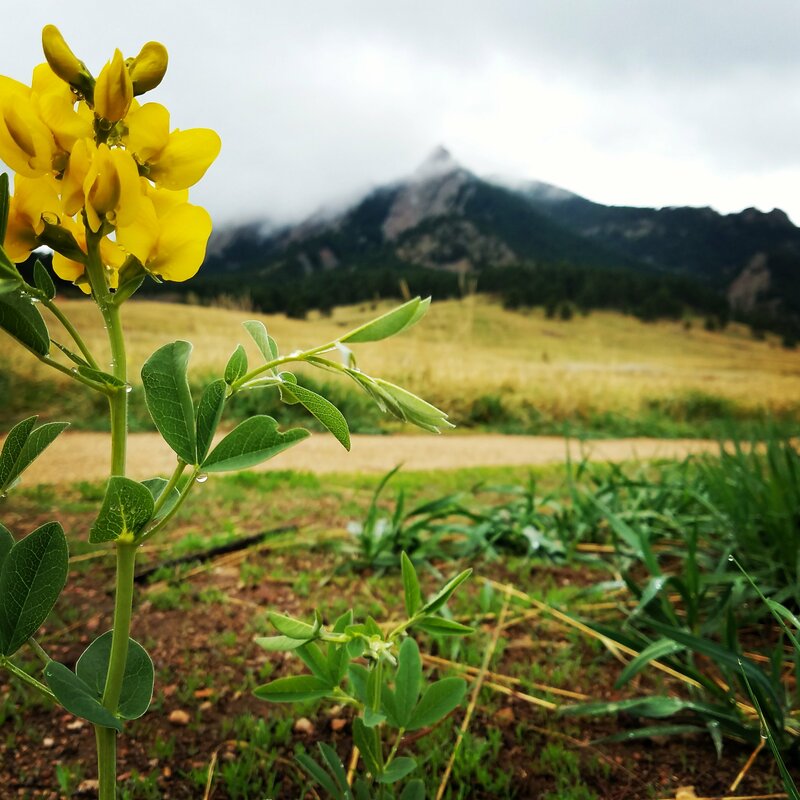 BoulderGRUB features IG posts of CU foodies and their deliciously photo-worthy food finds around Boulder. Follow BoulderGRUB will only make you hungry, so be prepared! Follow BoulderGRUB on Instagram @bouldergrub. Mary Susan Stults is a Boulder and international yoga instructor, as well as stand-up paddleboarder and meditation teacher. Follow Mary Susan for yoga, SUP and travel photos in and around Boulder, as well as all over the globe. Follow Mary Susan Stults on Instagram @marysusanstults. Chris Weidner, rock climber and Daily Camera writer will make your hands sweat with his stunning photos of rock climbers in Boulder and around the world. Follow Chris if you enjoy adventure photography, rock climbing, and breathtaking landscapes. Follow Chris Weidner on Instagram @christoperweidner. Ty Newcomb is a Boulder-based photographer, delivering dreamy scenes and ethereal landscapes to your Instagram feed. Follow Ty for mind-blowing scenes from Boulder and around the world. Follow Ty Newcomb on Instagram @eye.of.ty. Micro-Adventure Family is a Boulder-based family documenting its adventures in Boulder and around the country. Follow this family if you are looking for kid-friendly adventure ideas, family travel tips and travel photos. Follow Micro-Adventure Family on Instagram @microadventurefamily. Stephen Shelesky is an outdoor adventure and travel photographer, focusing on landscapes and skiing. Follow Stephen for awesome Boulder photos as well as adventure photography in Colorado and around the world. Follow Stephen Shelesky on Instagram @stephenshelesky. Christen Brown is a pro triathlete based in Boulder. Follow Christen for training inspiration for running, biking and swimming, as well as fun travel photos and local landscapes. Follow Christen Brown on Instagram @christenbrowntri. Caitlin of @barefootatlas is a Boulder-based photographer who focuses on landscapes, self portraits and travel photography. Follow Caitlin for beautiful local shots, photography inspiration, as well as ethereal portraits. Follow Caitlin on Instagram @barefootatlas. @traveledeyes is a photo journal of outdoor life in Boulder. Follow @traveledeyes for a stunning view of outdoor adventure, triathlon training, as well as local landscapes.